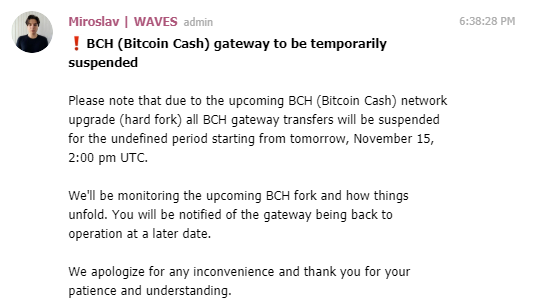 Does Waves have a statement on the upcoming Nov 15 Bitcoin Cash (BCH) SV and ABC hardforks? With the hardfork statements from the different exchanges. I am quite a fan of Waves, and wondering what their statement is regarding the upcoming hardforks that are taking place on November 15. Does Waves have any statements on this?